The Casino’s unique features include a 5-play maple top, back, and sides with basswood bracing. The Casino’s 24.75” scale mahogany neck has the classic SlimTaper™ “D” profile with the glued-in neck joint joining the body at the 16th fret, just like vintage models from the ‘60s. 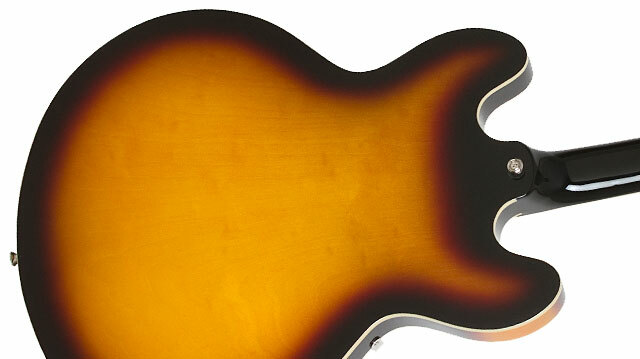 The 12” radius neck features parallelogram inlays, a 1.68” nut, and for that classic look, small button machine heads. No detail of the Casino has been missed. Today’s Casinos incorporate Epiphone’s famous Alnico P-90T and P-90R dogear pickups for that perfect combination of chime and growl. Widely known as the king of single coil pickups, these lean and mean P-90's offer a stellar combination of high output and biting treble response. 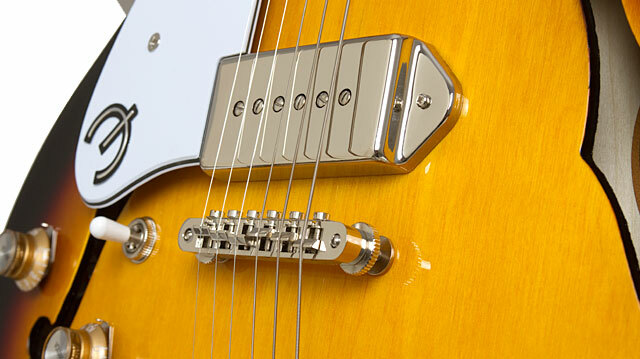 The P-90 pickups were favored among jazz players for their clear horn-like tone and were adopted by rock and rollers from the US and the UK who wanted to emulate their favorite R&B records. 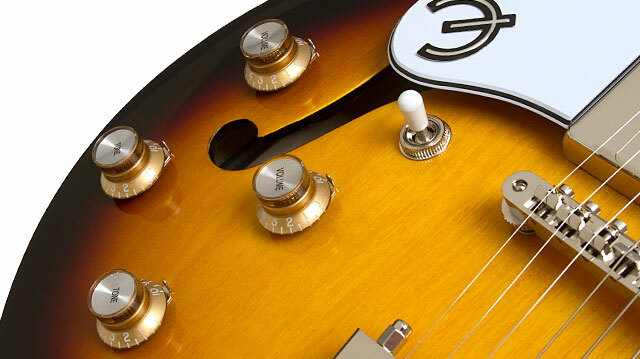 Unlike an ES-335, the Casino is completely hollow which contributes to its unique, signature sound. The Casino has always been known for being an instrument that gets in tune and stays that way, thanks to our LockTone™ Tune-O-Matic bridge and trapeze tailpiece.